Brad Loncar, creator of the Loncar Cancer Immunotherapy Index, recently sat down with Eric Dutram from Zacks.com for the latest episode of The Dutram Report podcast. They talked about what is cancer immunotherapy, why it is a focus in cancer research today, and how Loncar has constructed his index. The CNCR ETF focuses on the transformational field of cancer immunotherapy and tracks the Loncar Cancer Immunotherapy Index. Please tune in below to learn more about this unique sector in biotechnology. 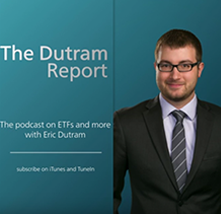 For more news and insights into the world of ETFs, be on the lookout for the next edition of the Dutram Report, and check out the many other great Zacks podcasts as well at Zacks.com. References to other mutual funds or products should not be interpreted as an offer of these securities. Opinions expressed are those of the author or Funds and are subject to change, are not intended to be a forecast of future events, a guarantee of future results, nor investment advice.